Stanley Yacht Services: Day Two of #PBIBS! 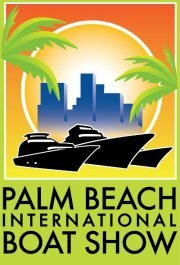 Captain Ben and Mate Jo will be back at the Palm Beach International Boat Show later this afternoon. Looks like it's going to be nice weather, again, today, so that's good news for all the brokers and exhibitors. We are definitely looking forward to being able to browse the many lovely vessels and interesting vendor displays at a leisurely pace today. Should be a wonderful afternoon!